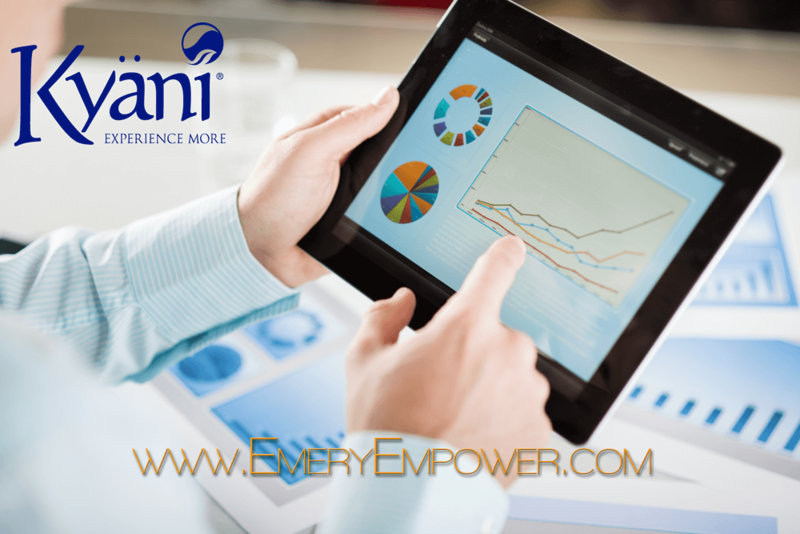 Is Kyani a Growing Network Marketing Internet Business? How to Create a Network Marketing Internet Presence for your MLM Marketing Network. Hey… imagine what life would be like if you could take the compounding power of network marketing and add it to the leveraging capacity of the internet. Your network marketing business would explode right? Well… maybe. What MLM hopefuls fail to realize is that marketing online is an entirely different beast. Creating a network marketing internet presence isn’t as simple as slapping a blog site together and watching the traffic pour in to sign up as your downline and buy your products. Here is what you need to consider before even thinking that you’ve got a chance of marketing MLM multilevel network businesses online. How will you get traffic to your site? Will you use pay-per-click ads (PPC) or pay-per-impression (PPM)? Search engine optimization (SEO); like how you found this site for “network marketing internet” as a keyword phrase variation. Will you drive traffic through social media like Twitter, Google+, Facebook, Pinterest, Instagram, Path or one of the other countless social media networks? Or, can you generate video content that will drive traffic from sites like YouTube or Vimeo? Can you design (or have a site designed for you) that will convert traffic from your call to action? What is your call to action? Do you want customers? Do you want to recruit a downline? A mix of both perhaps? A site that doesn’t look scammy where people are afraid to checkout because they think you’ll steal their credit card information can convert. On the other hand, what if you recruit a new downline team member… How will you train this person? He or she is most likely not in the same region – and may not be in the same country. So now you need a way to do online training in the form of a back-end members only site or webinar software. Plus you’ll need to have content developed for this branch of your MLM marketing network online. Well isn’t this what you’re doing? Yes, one aspect of my network marketing internet strategy is online but this this the reactive side of my MLM marketing network. I can SEO optimize my site and continuously improve its conversion rate, but at the end of the day I can’t control who visits and who joins my Kyani International Team. On the other hand, the offline MLM marketing network is what I anticipate growing more rapidly because I can control it. This is the proactive side of my Kyani business. Bottom line I believe that marketing your Kyani business online has some potential. You can drive traffic and build your MLM marketing network using social media but I think for many people it is a debilitating crutch. If you already have a grasp and can rank a site like EmeryEmpower.com then go for it! But learning this will take a few years and in that time you could have failed and grown a lot by building your business in person – then hire someone with the knowledge to build your network marketing internet business. You’ve been struggling with your network marketing business for awhile. You’ve followed the plan the MLM company and your upline sponsor set before you. And you are not thrilled with the results. Those results are lackluster considering the blood, sweat, and tears you’ve been pouring out. You’re already thinking: Is there a way to make my business a network marketing Internet business? You are looking for a better way, a modern way, to run your network marketing business. You’re off the reservation. You’re searching outside the umbrella of your MLM’s approval. You’re looking for information on the Internet. You’re already a rebel and you didn’t even know it. Can you make money through an MLM online? Is a network marketing Internet business for real? Those are smart questions. Just think what you do when you need information. You go to the Internet and type in a search at your favorite search engine. And where are millions upon millions of people seeking information? Exactly the same place. It’s a giant marketplace. You want to secure a piece of that market for your network marketing Internet business. A tiny little piece will do. You’ll just need to learn…well, HOW to make your business a network marketing Internet business. It’s an impressive list. Never dismiss the skills you’ve acquired, because they are hard won. Persistence and a high pain threshold ARE necessary business skills. Don’t let that list intimidate you. Truth is, moving your MLM online as a network marketing Internet business is much easier than promoting an MLM offline. But it’s still a lot of information to learn all by yourself. How do you start your network marketing Internet business and learn all this stuff? Well, you don’t try to re-invent the wheel. Someone has already taken what you need to learn and broken it down into tiny digestible video tutorial bites. Take the time and money you invest in those dead end offline marketing tactics, and instead get on board with the number one resource for network marketers who are new to the Internet and want to learn how to use it to attract leads and customers for their business. You owe it to yourself to learn more about this Internet business training platform. Network Marketing is one of the best ways to start a home business for a few reasons. 1. There a hundreds of them to choose from so you can chose to work for a company that matches your passions & interests. 2. They usually have some form of marketing system in place to help you become successful in what you’re doing. But what’s the best way to become successful in a Network Marketing Internet business? There’s a number of ways to do this but I want to focus on the system that we use in all of our home business ventures. It’s what we call the Home Business System. The system will work in any business, no matter what you do, anywhere in the world because it focuses on the most important components to building a successful business. Meaning…..if you want to really make it in any Multi Level Marketing company you have to not only try to find gold you need to sell shovels! Or more plainly. You need to sell yourself as a leader in the market who can teach a marketing system that will work in any company no matter what you’re doing. So that no matter what company a person is wanting to work for they can be helped by your system. And as the law of reciprocity will show you, when you’re helping people, or providing massive value to people, they will pay you back by wanting to sign up under you because of your wonderful amazing system & leadership. So what system do I use in my network marketing internet business? You’ll have to add your info in the box below to find out! Create a blog that teaches people how to succeed in your industry. Drive Traffic to Your Opt In/Landing Page Using Our Home Business Advertising System. What are some great advertising ideas for MLM marketing? [Question] – I want to establish my MLM business. Please help me advertise in an effective way to enhance my business fast. [Answer 2] – I am also new on this MLM marketing business…. Learning as you go ..
Take one way to promote your business at time, too many option could confuse you. [Answer 3] – * Check with your upline (choose a successful upline you can talk to) on what lead-generation techniques they already use. In MLM, duplication is critical, so make sure that whatever advertising technique you will use, can be duplicated and done by anyone. Otherwise, your efforts will most likely be short-lived. * There are lots of ways to advertise. Warm market, social networks, email, SMS, etc..
* Read this book: Your 1st Year in Network Marketing. This is the best book in the industry, and you will surely get lots of great advise from here. [Answer 4] – Professional webmasters advice has always been this – google search keywords such as Make Money Classifieds, Online Business Classifieds, Internet Business Classifieds, Internet Business 24 Hours, MLM Prelaunch, and you will find their websites. Post free ads at those top ranking, popular websites. Besides free of charge, these sites give you online exposure, enhance/increase your website ranking as well as to help to get/draw traffic to your websites. Anyway, do your proper research, take your time, do your window shopping. You do not need to commit to it, compare and make an educated decision. I don’t know what company you are with, but what you want to do is use the google free keyword tool to see if there are people already searching for your company online. See the link for the free google keyword tool below. In the search box of the free tool, enter in the name of your mlm company and hit search. Look at the keyword phrases that show up. These phrases are the phrases that people are using to search for your company online. Now, what you want to do is take those phrases and use them in the titles of your articles and your videos. So for example, if one of the keyword phrases that showed up in your search was: “MLMCompany scam”, you should write an article with the title: MLM Company Scam: Fact or Fiction. At the bottom of your article in the article resource box, include a link to your website (your own website or blog, not your company replicated website). Article marketing is a great free marketing strategy that can help you generate more free leads online for your mlm business and it helps you attract targeted people to you. Youtube is also a great free marketing strategy. You can do free videos on your company, but you should also do videos on how to start a home based business, how to choose an mlm company. Think about your target audience. Your target audience are people who are actively looking to join an mlm company, so you want to do videos that they would be interested in. The key here is to provide value, demonstrate your expertise, give them valuable information and advice. This helps to build trust. At the end of your videos, you want to leave a call to action, directing them to go to your own website (preferably a lead capture page, where they can leave their name, email address, and phone number) so you can contact them. Facebook is also another great way to build your mlm business. Do a search in facebook for network marketing, mlm, and home based business groups. Join those groups and start sharing helpful tips and advice (you can post links to your articles or youtube videos to the group wall). You should also send friend requests to the members of these groups, as they are in your target audience, and start building a relationship with them. Those are three great free strategies that I cover more in detail on my free training site, but I hope this helps. [Answer 6] – There are various ways of advertising ad-words, facebook, classifieds, forums, blogs, etc. But some of these will likely cost you a lot of money. The danger about this is that the conversion rate may not be so good, and may leave you in a loss situation. I used to do this but realized that I was spending a lot of money on ad words and facebook with no return. I did get a lot of clicks but no conversions, this resulted in high costs. Magnetic sponsoring by Mike Dillard basically simplifies matters. This is a system that generates leads and captures leads while you’re earning to generate the leads, this payment you can use to subsidize your advertising costs. Its a win/win situation, you get leads that will potentially join your MLM and you get subsidized on your direct online marketing costs. There are many more features and benefits to this system. Visit http://katlegoo.magneticsponsoringonline… you’ll get a free 7 video boot-camp sent to you. Best of luck. [Answer 7] – Great question but you really want to learn how to brand yourself online more than advertise your MLM. You see most people are pushing their MLM but people buy from people, they don’t buy into companise. Start by following what others have written and use social media such as Facebook and Youtube to deliever quility content that will help others build there business. Don’t know where to start with social media, then let me know and I will help you out with some free training on my blog. Who doesn’t want a fail proof business? It is everyone’s expectation to build a long-lasting business. Network marketing internet business is as close as franchise business but the investment is low and affordable for ordinary folk. Not everyone is capable to build a business with a good system and to create their own branding. When we build online MLM business, we can rely on their company branding, good products, plug-in system and marketing training. Here is what we expect to get if we start network marketing internet business. Use the company branding because good branding creates awareness. When we have good products, we create loyal customers who keep coming back to enjoy the products. With good products, we have more confidence to promote. We use the products, we get the benefits and we have good news or stories to tell to people. To market the products or business opportunities, you need an excellent website and or marketing website. Look for online MLM business company that can provide you with the website under your name, your business and to include your photo. If you have your own website, it adds the credibility and the trust for your business. Besides a superb website, you need a built-in autoresponder. Follow-up messages will build a relationship between you and your prospects. A good relationship bears a trust and they will eventually join your business. Marketing training is very important because it determines the success or the failure of our venture. We must know well about the products and the compensation plan. The concept of MLM is actually simple, to promote or to share the business with other people. If you just share your business with your warm list, friends or neighbours, your organization has its limit. It is just around your neighbourhood. With internet and social media online, marketing takes to higher level. You can market your online MLM business to strangers or cold market. Of course, we need some training in internet marketing. Internet marketing brings automation. Imagine that you have a free media such as a blog and people can find your blog and your MLM business opportunity. You expose your online MLM business opportunity to thousands or hundred thousands of people on the net. Interested in Building Your Network Marketing Internet Presence and Building Your MLM Marketing Network Offline? If you want to be success both offline and online in network marketing then seriously consider joining my Kyani International Team. We have excellent training that will give you the tools and resources to grow your business and adapt to the ever evolving marketplace. 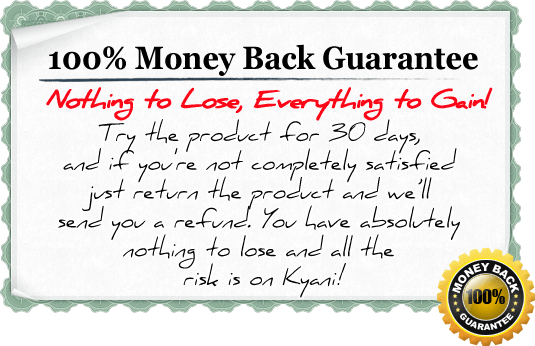 Take advantage of the risk-free money back guarantee on the Kyani products and try the Health Triangle Tri-Pack for a month. If you don’t like it, get your money back! If / When you notice dramatic improvements in sleep, reduced inflammation, increased circulation and many other benefits sign up as a distributor through this site or contact me through the contact page and I’ll answer any questions you might have. 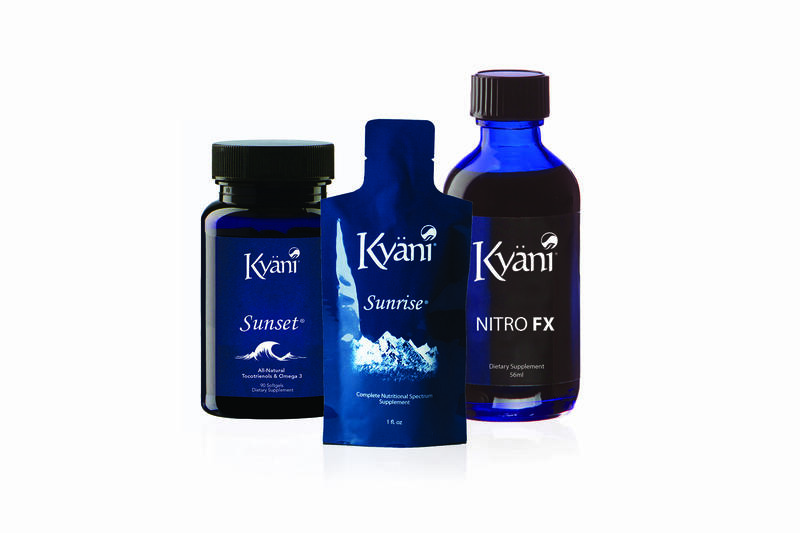 * Once you select your country, choose a product category and this will then give you the option to purchase the Kyani Sunset product individually, although we do recommend the full Kyani Health Tri Pack as the best way to ensure optimal results.